This is the sort of completed set models. There might still be bugs and all that but they appear to function as intended and their scales should not be too crazy. Note: The Type 10 Is just a texture update and the Type 73 truck/M901 Patriot launch trailer is just a model update and to be functional they will need the base content from the original downloads. The Patriot trailer should have all in the base game but the Type 10 is from the June package which is not. Not enough hours in the week. More the half the team is part time or less hours per week. In general I have very little information that is not publicly available. What I can say is if and when a model have been sent to BG. Beyond that I do not have anything to do with it. I do have plans for more vehicles. In total around 15 for Imperial Japan not including half-tracks, trucks and armoured cars. No timeframe on when it might happen though. Also everyone should feel free to bundle content I have made in other mods. This is really just a modders resource. The content should transfer seamlessly between being just a modders resource and being included in the core game if/when that happens. I might just put up simple texture additions like that. I can do all of that in Photoshop and just put it in dropbox. From right to left basic worn model, Russian/Soviet (R), PRC (C), Indian (Q), Middle eastern (Z) and east European (T). Region group T is just as much to avoid having all cold war Warsaw pact members outside the USSR run with beat up rusty T-55's. What happened with this design for T 55 and with that desinge for Israeli Merkava ? The T-55 was released some months ago. It was however only sent to BG after the last patch. It might be included in the next patch or it might not. That is something only BG can answer. The Merkava was released a few days ago. It has not yet been sent to BG. I have gotten some work done on the SA-13/9K35 Strela. The model should be easy to convert into other vehicles like the MT-LB. 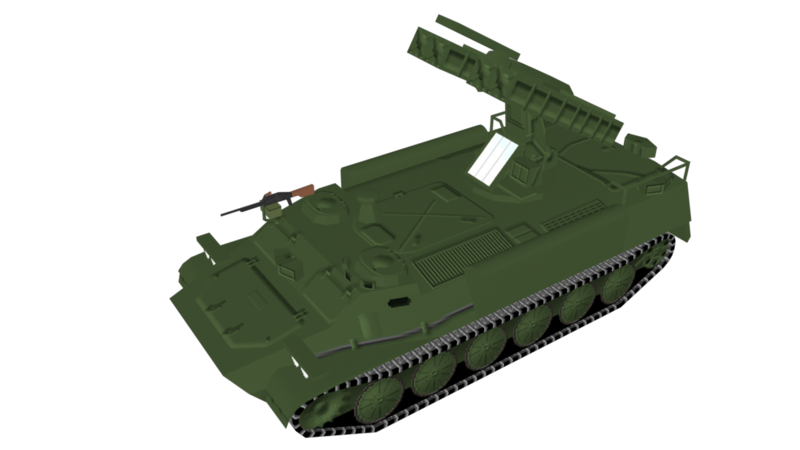 There should also be enough space on the UV map to mount a ZSU-23 on the rear like was done on some Iraqi vehicles. This is rendered with a point light source so it is not representative of what the vehicle will look like in-game. I am working on more Russian/USSR air defence systems like the SA-6. With it I want to try and ensure that the GM chassis is sufficiently universally usable that I can potentially convert it into say a 2K22 Tunguska at some point. Some BUK systems at least also appears to use the GM chassis so again trying to make it usable for this should make it easier to make the BUK and probably several other vehicles. I also go a few other things planned. Anyone up for some aircraft identification? 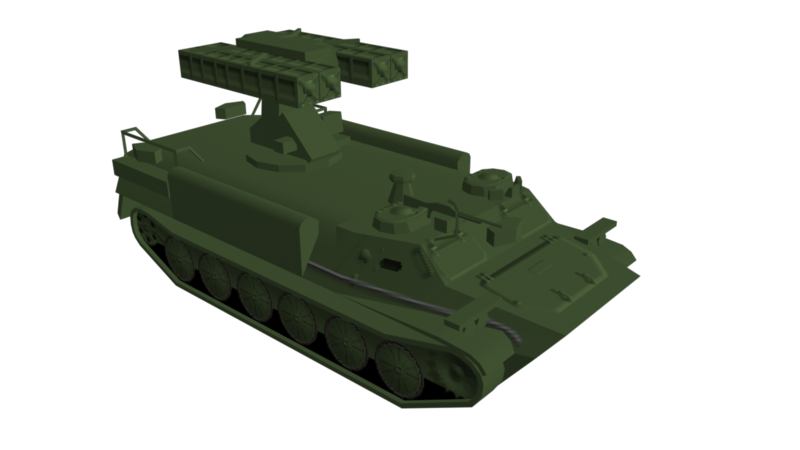 The 9K35 Strela/SA-13 now has most of the detailing done. It still needs proper shading as this is still rendered with more than just ambient lighting. I will probably not have that many regional variants initially. Russian/USSR and desert is almost certain with DPRK and Indian being a maybe. Currently my silly plan is to post a new aircraft model each day through December. This is in part to allow creation of more models during the process while still doing something more than just uploading renderings at random. I have not decided if they will have regional textures but if I add some they will be generic. It also depends on how much time I have. They will however have all the basic detailing. My planned release of those models would probably be sometime February to allow for the creation of a few more regional textures as I really do not think I will have the time for that also. Yes again this is a bit silly but sometimes I just feel like doing something silly and this is one of the cases. 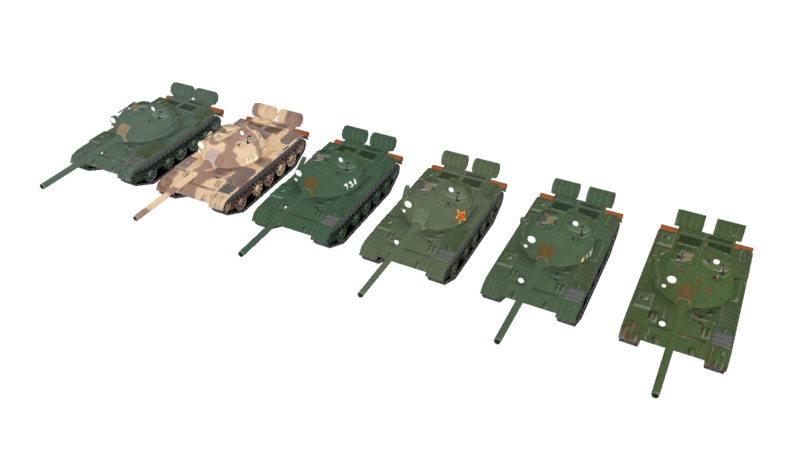 M110 (mesh 1761): Added Israeli, ROK, US and generic desert. Updated generic, British and Japanese textures. M270 MLRS (mesh 1646): Added ROK, British, US and generic desert textures. UH-1 (mesh 1647): Added Italian, Israeli, ROK and US textures. Updated Japanese and generic Textures. UH-60JA (mesh 1653): Added Israeli, ROK and US textures. Updated generic and Japanese. SH-60J (mesh 1658): Added US texture. Simply drop them into the meshes folder. I do not have all 31 aircraft ready but I do have enough done already that I should at least be able to go for the majority of December. Those that celebrate Christmas can just call it a silly military aircraft themed avent calendar possibly with bonus aircraft as that certainly should be doable as I already got around 15 aircraft ready with another 10 fairly far along. That is ready as in all details done. Not fully finished generic or regional textures. Proper finalisation is a task for January and maybe February. The good thing about aircraft is that they are quite a bit faster to make than say tanks. 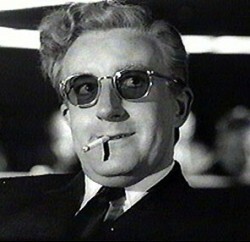 That is to say do not expect me to do this with tanks.